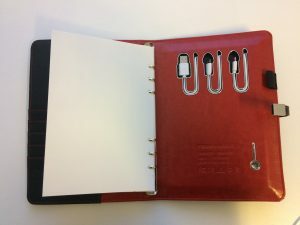 For some, a diary still serves as a more efficient method of keeping track of all that needs to be done during the day, week and month. Electronic calendars simply don’t cut it. However, this smart diary aims to bring back the power of the pen with its built-in power bank and detachable USB port. The Power Diary includes three charging cables – iPhone Lightning, Micro USB and the Power Bank Charging Cable. Depending on your device, the 8000mAh Sony Li-Polymer Battery offers three full charges. Pressing the switch at the back is simple enough to start up the blue light indicating it’s ready to power up your phone. 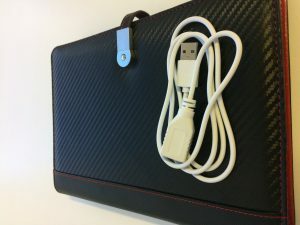 The diary includes an accessory charging cable. 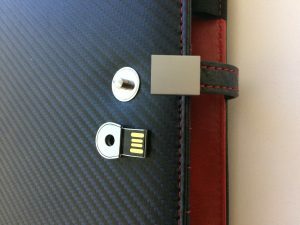 Its detachable and magnetic 8GB USB clips off easily from the front. 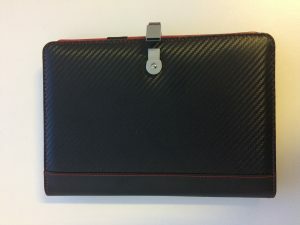 This is perfect for storing presentations and valuable documents for important meetings. Or it can simply serve as extra storage. More than electronically smart, but also aesthetically with its sleek-looking black poly leather exterior and striking yet formal red poly leather interior. 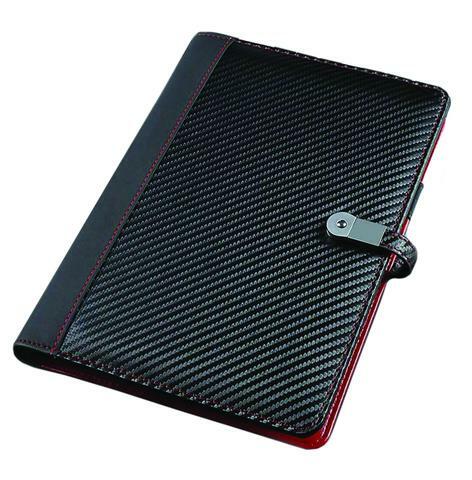 It has five compartments allowing you to slip in your business cards or bank cards. 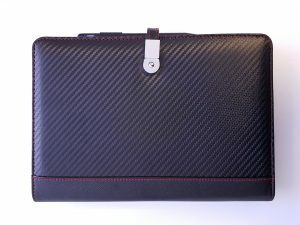 The sixth larger compartment to insert any notes or any excess and miscellaneous papers. 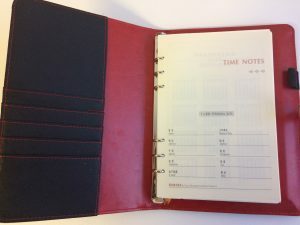 The power diary aims at longevity with its three-year calendar extending over 2018, 2019, and 2020. The notebook includes 100 A5 pages to keep track of all your to-do lists and important thoughts.